Market garden quality. 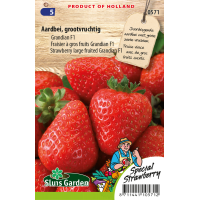 High yield of delicious, large, sweet strawberries. When sown on time fruits are produced already in the first year. 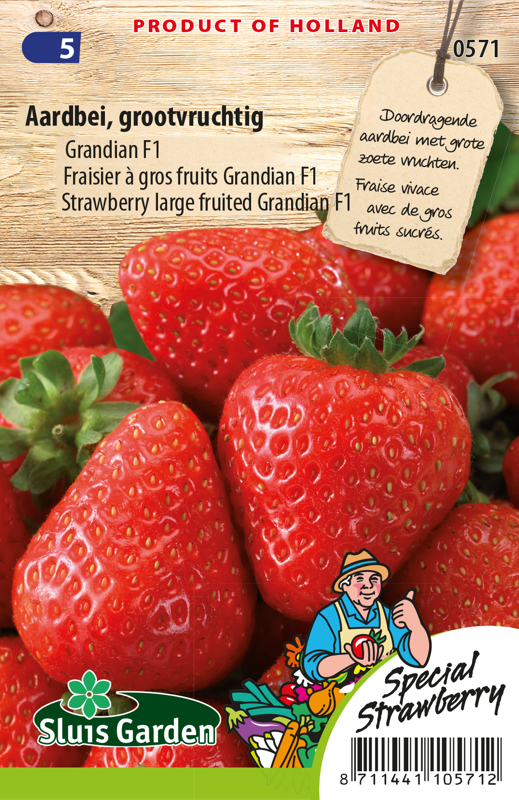 It is a true perpetual fruiting plant, so produces fruit every year. Pre-sow in a heated greenhouse. Sow thinly and cover the seeds with a thin layer of soil. After emergence prick out in pots. Harden off the plants and transplant at the distances indicated. Place straw around the plants to prevent blight. Can also be cultivated in large pots.